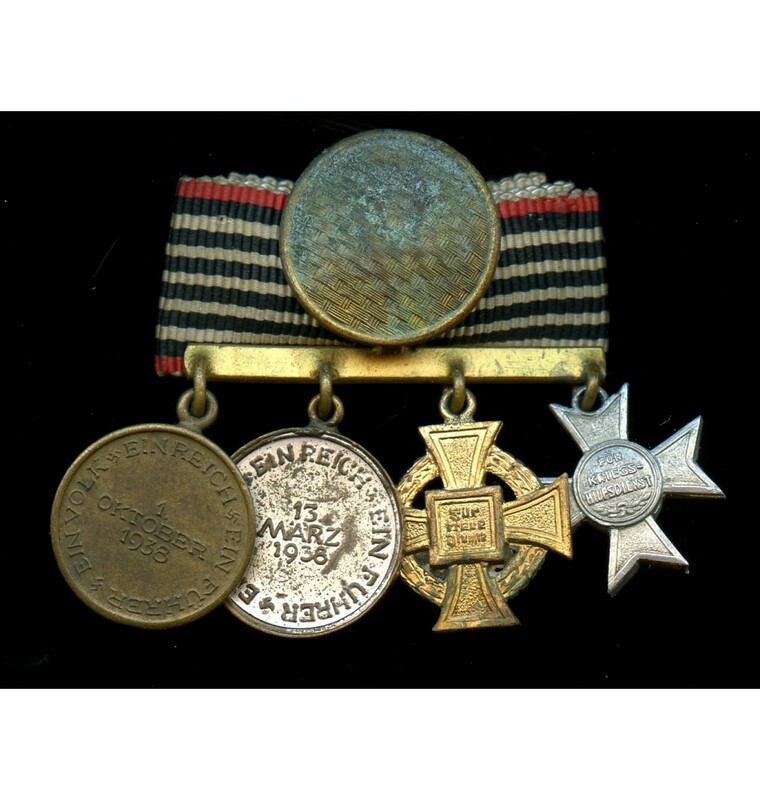 Miniature annexation medal chain by W. Deumer, Lüdenscheid. 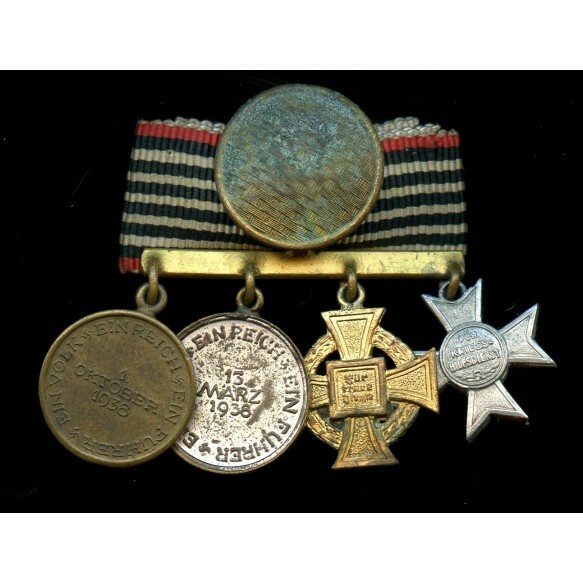 Four small 16mm chained medals to gilded bar. Inside of the loop the 4 ribbons of these medals. 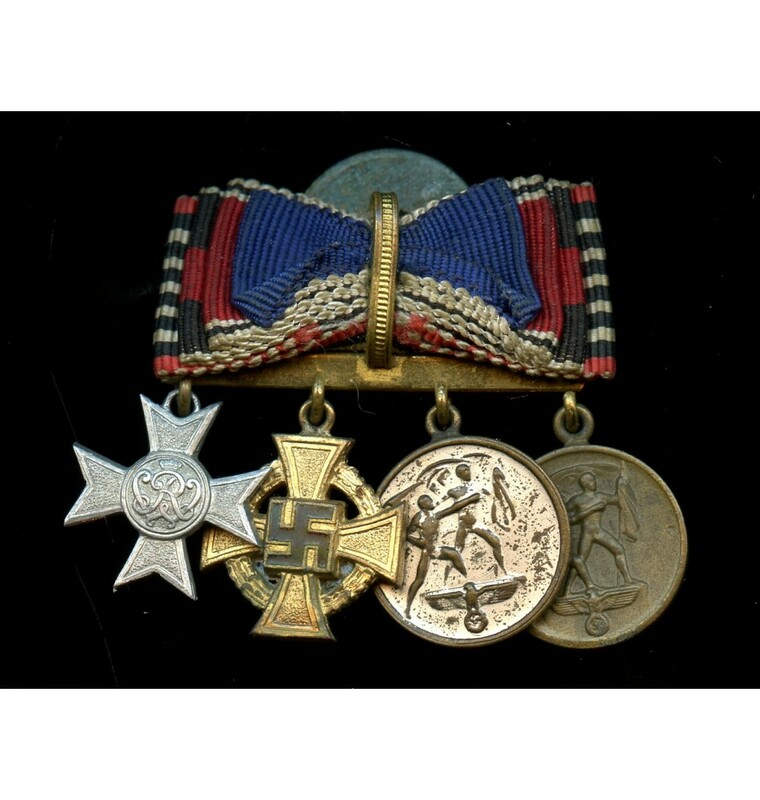 Czech annexation medal marked with the LDO code of Deumer "L/11". 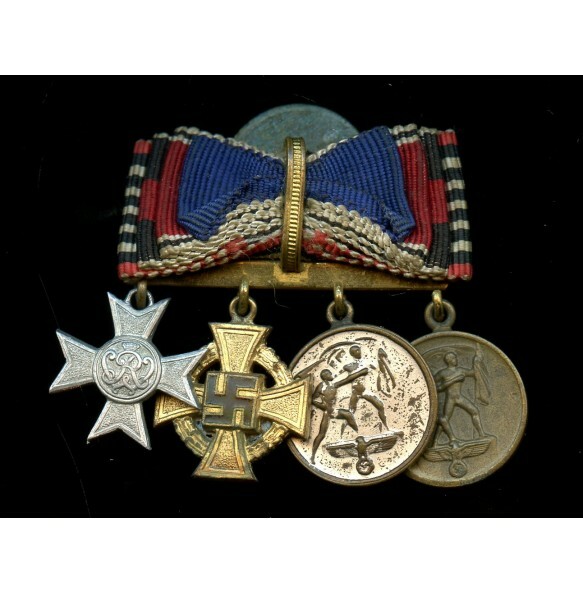 Light worn condition. No repairs, no damage.